One of the surest ways to make money online in a legitimate way is to create and maintain a blog. You can make money from blogging only when you monetize the blog. Monetizing a blog is a way of making money from a blog through ads via the different advertising companies as will be outlined shortly. There are several monetizing systems to choose from, however, when it comes to monetizing a blog or a website via contextual ad networks, Google AdSense is second to none. Of all the ad networks that exist on the internet, there is no match with AdSense. 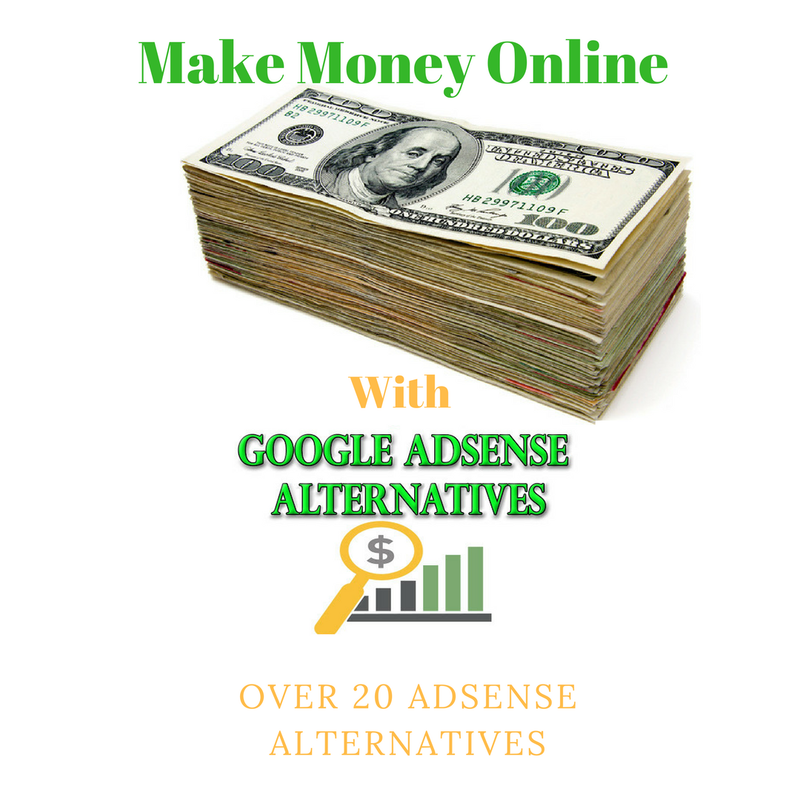 But because of their strict policies, as a beginner whose AdSense account has not been approved, or if your account has been denied, or you have been banned by AdSense, here is a list of over 20 AdSense alternatives to help you in monetizing your blog. This is one of the most popular AdSense alternatives that is newbie-friendly. They offer a high CPM rates and timely payments via PayPal and Payoneer. No need of minimum traffic requirements for you to join this network. This means you can sign up right away even if you just created your blog and have some couple of contents published. They have a very low minimum payment threshold of $5. And you can even set up your account to withdraw your earnings automatically once the threshold is reached. The only problem you may have is that not many web visitors like pop-up ads. They are annoying to most web users. An opportunity for website owners to make money online quickly, PropellaAds gives you that opportunity. You can monetize your web traffic or even mobile apps with this innovative advertising agency. It is a CPM ad network. Once you sign up and place their ad code on your site, you can make between 1 to 4 USD for every 1000 views. They have a low minimum payment threshold of $25 and pays via Payoneer and WebMoney. They may have other modes of payments, you can check it out yourself. With RevenueHits you can enjoy maximum enjoyment from your minimum effort by converting your digital assets (websites or mobile apps) to income generating properties. However, they don't pay any dime for clicks and impressions. They pay you only when the click is turned into an action. You'll get paid if a visitor click the ad, get to the merchant site and maybe register or do the intent of the advertiser. They won't pay you for CPM or CPC. They payment is quite good anyway. They will pay you between 10 to 50 USD for any action taken via your ad code. Their CPA rate is very high compared to other networks. 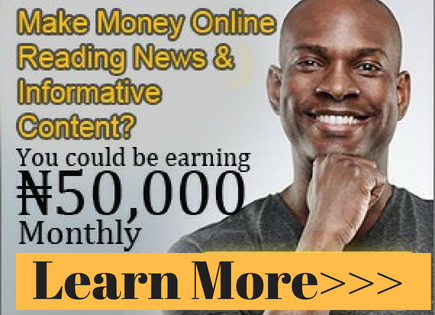 Some publishers claimed making about $100 per day using this ad network. They have a low payment threshold of $50 and pays through PayPal, Payoneer and Bank Wire Transfer. As most people who have used this network before stated in their review, Chitika is the best AdSense alternative. Chitika Ad Network offers search-targeted ad package. 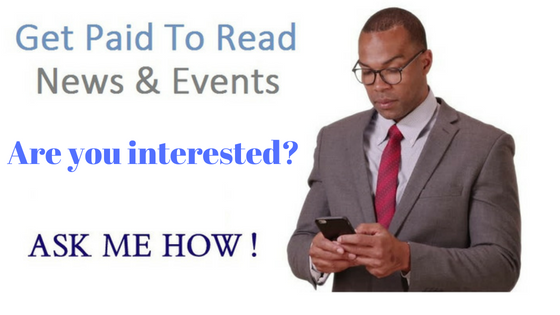 They have mobile and local ads that are suited to your audience's interest. They offer publishers and advertisers user targeted, search targeted, mobile and local ads for websites, blogs, apps and mobile sites. They even have a referral program that pays a handsome referral commission. And the best part of it all is that you can even combine it with AdSense on the same website. Which means even when your AdSense account is still active and serving you ads, you can also place Chitika codes on the same website. To make any tangible money with Chitika, you should work on getting search traffic from countries like USA, UK and Canada. This is because most of their advertisers are from this regions. Their primary service is to shorten a website URL if probably you want to send the links across to another person. AdFly pays you for shrinking your website or social media links. As a publisher, you can earn up to 50% of advertising revenue from AdFly through your shortened links. This is how it works: When you shorten a link with their services and you post the link, when someone clicks the links, AdFly will display an advert, and you get paid. This ad network can recognize a commercial product within your article in turn it to a clickable affiliate link to a merchant website, so that when your visitor click the link and buys anything from the merchant's website, VigLinks pays you. This is what I mean: If you mention any product name in your blog post and you didn't link to to any merchant's site for that product, VigLink will help you do that whether you are an affiliate of the merchant or not. You get paid via VigLinks for any purchase. This is one of the top CPA affiliate networks with more than 2,000 registered and active affiliate offers. You make good money by consistently driving quality traffic to their campaigns. On their website they claimed to be the #1 affiliate manager since 2015. You sign up for programs of choice on their platform, and you're guaranteed of making a decent income, top regular payouts with different accelerated payment options. Ad dynamo as the name implies have three dynamic ad packages (as at the time of writing this article). The normal website or blog ad units, the tweeter campaign and mobile ad units for mobile devices like iPads and other mobile devices. With their tweeter package, they claim to be the twitter exclusive ad sales partner in Africa, helping different brands, small or great to leverage twitter advertising. With this package, anyone with a twitter account can earn revenue by posting sponsored tweets on behalf of the advertisers. You can integrate their ad units with any other ad network. All publishers payments are issued on the first business day of every month once your earnings exceed the minimum threshold. They have a variety of payment options - via their visa debit card, PayPal and bank transfer. Update: It seems they have focused totally on twitter account only. With Skimlinks you can earn income from your content in a seamless and simple way. They add an automated revenue stream to your publisher network without requiring any additional advertising space. They boast of being the leader in affiliate marketing solutions for merchants, publishers as well as agencies. You can monetize your website's contents with effectively with Skimlinks. MadAdsMedia claims they are the ad provider with the highest CPM. With their ad network, your website earns a higher overall CPM and revenue. They claim their optimization technology will help your website to see a 350% increase in revenue, and that you can make the most of your impressions being a publisher with them. The claim to be the best solution for internet marketing for online advertisers, a platform where webmasters can make money online by placing ads on their sites directly. Bidvertiser has a flexible payment system - PayPal, check or wire transfer. Their referral programs give additional chances to make money with your blog content. A minimum payout of $10 for PayPal. With Infolinks you can monetize your website/blog with smart ad units alongside with other ad networks, their ad units do not interfere with any other ad campaign on your site. According to their site, over 100,000 publishers are monetizing their contents using Infolinks. If they are not doing great they won't have such a huge list of publishers, and I also read some good reviews about them on popular sites like ShoutMeLoud. According to them, they are a worldwide programmatic ad technology company that redefine online advertising. Pulse point delivers real solutions for real business results. They enable smart revenues opportunities via top rated ad exchange. Smotion is another good ad network out there that you can use to generate revenue with your site. Smotion starts you off at 60% and gradually improve it as they gain more knowledge of your site's performance. They offer three payment methods - debit card, check and PayPal. Like their welcome address on their home page is - "Publishers make money while you sleep!" With this ad network, you can have network targeted ads that allow you to advertise across the entire Adhitz network publisher sites if you are an advertiser. For publishers, Adhitz allows an ordinary website or blog owners to turn their traffic into money even while they sleep. Adhitz ad network can turn your website or blog into a cash generating machine, a machine that makes money while you snores. Clicksor offers the opportunity for webmasters to earn money off their websites by using a selection of clickable text or contextual banners on their websites. They have a timely and flexible payout systems. A minimum payout of $50 via check and PayPal. They have a wonderful customer-friendly support, either by phone or emails. An amazing referral program with 10% referral commission. I read a review about them that stated that they have built up both good and bad reputation over the year. You can search it out yourself. Just as the name implies, you get paid for sending pop-up traffic to their offer. PopCPM does not accept website anyhow. Before you apply to them, make sure your site is up to standard and has a considerable traffic. Only quality websites are accepted. They have a real detailed statistics with average eCPM statistics, a low minimum payout of $25. Payment is made every 10th of the month for the previous ending month, via PayPal and Payza. This ad network unites top quality publishers with direct best of the bests advertisers. They partner with leading advertisers and publishers in more than 40 different countries. They have a high eCPM rates with on-time payments. According to their tagline when writing this article, they claim to be "One of the newest advertising companies on the internet". Adaloo helps websites get advertisers to their blogs, and help companies get connected to the right websites. They work especially with entertainment companies in the hip-hop market and have a growing hip-hop network of publishers. Sign up with them for free, if you are looking for advertisers to your blog or website. An innovative Software as a Service (SaaS) advertising network on the internet today. They offer programmatic solutions for different platforms, desktop, mobile devices and connected TV ads. eClick is a leading pay - per - click search engine marketplace, an online marketing solutions providers for advertisers and publishers alike. They claim one can earn 90% revenue share of the click. They have real-time detailed reporting and stats, and timely payout every 30 days. Yahoo!, a popular name in the online world since the inception of the internet, with their wide range of different products and a huge breadth of expertise, Yahoo! offers publishers and advertisers customized solution that delivers unmatched websites monetization system. They have continued to expand their product offerings to bring new revenue sources to a growing list of portals and content providers. This is a platform that enables publishers to deliver targeted advertisements to their websites and Windows Phone 7 and Windows 8 application. To participate in Microsoft Pub Center, you can use your account to sign up, and earn revenue while enabling Microsoft's audience with valuable ads experience on their websites and Windows Phone applications. This List is not the exhaustive for ad networks or other monetization models for your blog or website. There is room for personal research. Now that we have created a blog, we also have quality content which is key to successful blogging, we have monetized the blog with one or some of the monetization systems outlined above, we are now ready to make money online in a legitimate way, even while sleeping. But this alone is not enough. If you have a very good product and no one knows about your product, it will rot with you. If you don't create awareness for your product, nobody will know your product exists let alone buying it. The same goes for blogging. You've got to create awareness for your blog, by engaging in a quality promotion.